L-R. Luke Hocker and Max Jordan in Columbus, OH. 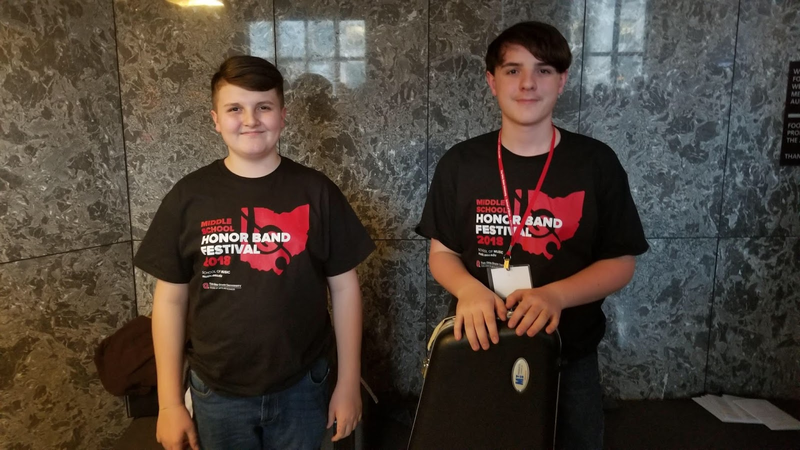 Congratulations to Greenville Middle School 8th Graders Luke Hocker and Max Jordan for being accepted to perform at the 2018 Ohio State University Middle School Honor Band Festival. 8th graders Adron Howard( trumpet) and Parker Bailey ( percussion) were selected as alternates. According to Honor Band Coordinators, three hundred eighty middle school band musicians were selected from over nine hundred nominations to form two seventh and two eighth grade concert bands. Luke and Max began their day on the OSU campus Saturday, February 17, 2018 at 7:30am, rehearsed all day, and performed in the Mershon Auditorium at 4:00pm. Their performance was outstanding! 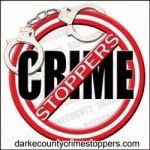 Luke plays alto saxophone and Max plays baritone saxophone in the GMS band. Their director is Mr. Brian McKibben.